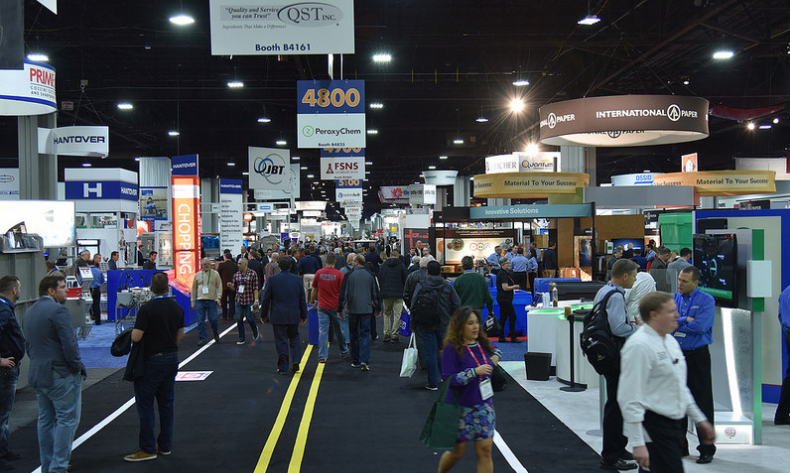 A record setting 31,649 poultry, meat and feed industry leaders from all over the world attended this year’s International Production & Processing Expo (IPPE). The U.S. Poultry & Egg Association, American Feed Industry Association and North American Meat Institute sponsored event also brought in 1,273 exhibitors showcasing products in 533,000 square feet of exhibit space. “We are very excited about this year’s record-breaking exhibit space floor and attendance numbers. The turnout for the 2017 IPPE was exceptional, and the feedback from attendees has been extremely positive regarding time spent on the trade show floor and in education sessions. We expect next year will be even more valuable for attendees and exhibitors alike,” the three organizations said. We always look forward to covering this trade show each year and have already marked our calendars for 2018, we suggest you do the same. Next year’s IPPE will be held Jan. 30 – Feb. 1, 2018, at the Georgia World Congress Center in Atlanta, Ga.